AdRoll is a Silicon Valley start-up with technology that has gone down a storm in the fast-changing world of online advertising. Such was its success that it began to look for a base outside of North America to expand its operations. Marius Smyth, managing director for Europe, the Middle East and Asia, explains…. We provide the number one retargeting technology for advertisers globally. Retargeting is when a company re-engages with customers after they have visited their website. It works by keeping track of people and displaying retargeting ads to them as they visit other sites online. With only around 2 per cent of people converting into a sale when they visit a web site, it’s a way for our clients to reconnect with the other 98 per cent as they go off somewhere else. It’s a platform where clients only pay for what they use and it’s becoming as ubiquitous as Google AdWords. It’s a wonder that Ronan Harris gets anything done. Google Ireland’s new head has a corner office with a breathtaking view of Dublin city that would distract even the most focused person. It’s a clear day, you can see right across the city, taking in everything from the Aviva Stadium to the Dublin mountains and more. But when you are the head of one the biggest tech companies in the country – and vice-president of its EMEA operation too – the view is just a nice extra. On the day we meet, he has already had somewhat of a star-studded morning, with Amy Schumer and Bill Hader delivering one of the company’s “Fireside chats” at Google’s Foundry building across the street. Harris was there to perform the introductions before heading back to his office in Google Docks. It’s been a hectic few weeks for Google as a company. The company has restructured and rebranded as Alphabet, with Google forming a wholly-owned subsidiary of the new Alphabet, alongside other ventures such as Nest and Calico, the company’s longevity product. The announcement was live streamed to Google’s offices around the world. The new structure is something that may take the rest of a little longer to get used to, but Harris has taken it all in stride. “Google never sits still. I think it’s one of the things that makes us such an exciting company, whether it’s in terms of our products or organisation or some of the experiments we do in Google X. We’re a company that is built on innovation – if you build on innovation, you build on change,” he says. That certainly can be seen in Google’s operations over the years. For a company that started out as primarily focused on search, things have changed considerably. Google has moved into mobile devices with Android, the internet of things with Nest, and has dabbled in driverless cars and wearables, with Google Glass. Even in Ireland, things don’t stay still. The Dublin team has grown from its humble beginnings to be an important part of Google globally. Rather than simply sales and marketing, the company has a considerable engineering function here too, from hardware and data centres with site reliability and search quality. “We are where the rubber hits the road for our users, publisher and advertising partners for EMEA,” says Harris. While Google’s change to Alphabet may mostly be a rebranding, the appointment of a new head of Google Ireland is not. Harris has only been in the role since May, when John Herlihy stepped down after 10 years at the helm, but he’s a company veteran and determined to make his mark. A bit of crystal ball gazing would have revealed some good news for the company. Back then, it was only getting started in Europe, with between 2,000 and 2,500 employees globally. Now, between full-time staff and contractors, Google Ireland employs double that. At the last head count in October last year, the Irish arm employed 2,500 people on a permanent basis, and it’s set to grow further with the introduction of second new data centre in west Dublin. An electronic engineering graduate, Dublin-born Harris had a stint overseas, putting in a few years as an engineer with Mitsubishi before moving into consulting. From there, he moved on to be a director of Truscom, before taking up the role of chief operations officer of e-learning firm Skillspro. His entrance to Google came in 2005, and the rest, as they say, is history. It’s a nice way to mark a decade at the company, taking over the top job. But Harris is modest about the achievement. Despite his modesty, being appointed to the job is one of his proudest moments in his career, he says, particularly because he was involved in building the Irish operation over the past decade. It’s the people that form a major part of the culture at Google. The company is known for its less-than-staid work environment, with employees enjoying perks like an in-house gym and swimming pool, fully stocked fridges and snacks throughout the building, and themed days where staff dress up or bring in baby photographs. One thing that may have made Harris stand out above other candidates for the top job is his focus on innovation – a major consideration for a company in such a fast-moving sector. His focus over the years has been on where the company can innovate and change to do things better for its customers, build new services and products for partners and change how it operates internally to be one of the more efficient parts of Google. That, he says, is key. “In the world of technology, in the world of internet, you can’t afford to stay still. You have to be constantly challenging and thinking about what’s next,” he says. In his spare time – something he has a little less of these days with the travelling that comes with the VP role – he likes kite surfing, sailing and other water sports, a throwback to his days at UCD. His typical haunts are Dublin Bay or Roaring Water Bay near Skibbereen, although his regular trips to California might yield more temperate conditions for scuba diving. But for now, his professional focus at least is on cementing Google Ireland’s place in the global organisation. “I think Ireland Inc has got this tremendous position where it’s now got nearly all of the top 20 largest internet companies with their European headquarters based here,” he says. 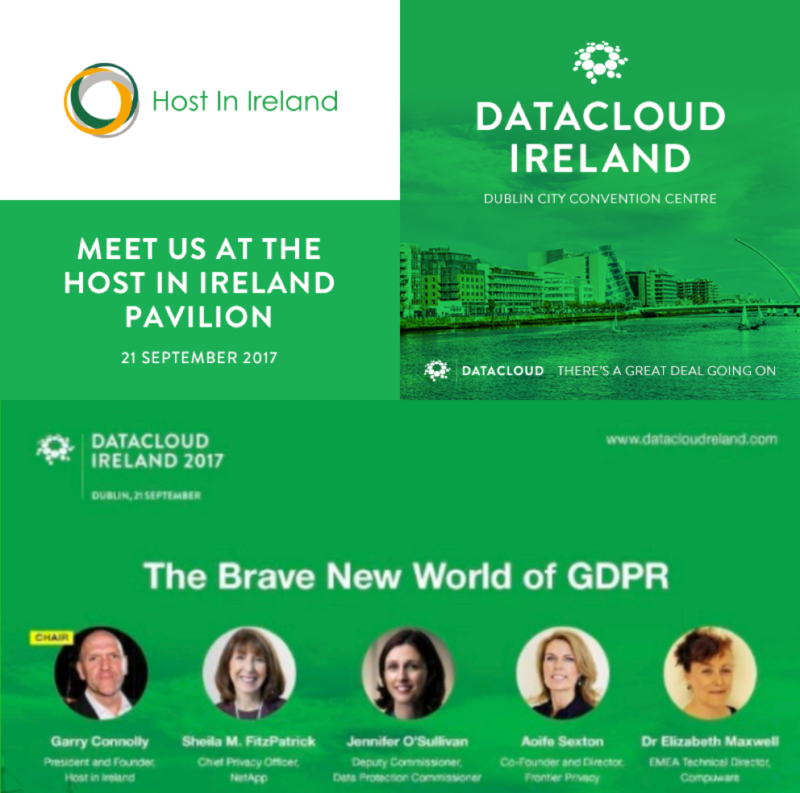 “I think it’s a huge opportunity for Ireland to build around that and for Ireland to play as an increasingly important role as a data hub for Europe. We just need to keep fuelling that ecosystem.